Get Online Valentine Midnight Special Deliveries! Are you planning for a valentine midnight special surprise for your sweetheart? If yes, then log on to Valentinesday.in and check out unique and stunning valentine midnight special deliveries. This reputed portal is offering amazing collection of valentine flowers. All these gifts are deliverable during midnight in metropolis like Delhi NCRs, Mumbai, Bangalore, Hyderabad and Pune. 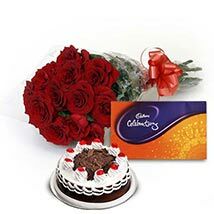 Buy and send midnight roses, heart shape bouquets, roses by numbers and floral hampers. You can get add on gifts like delectable cakes, chocolates, dry fruits, fresh fruit baskets and personalised greeting cards. Online shoppers can send valentine gifts within a couple of clicks. 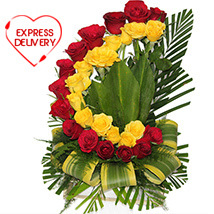 Get express delivery of flowers and various romantic gift surprises with great expediency and convenience. Valentinesday.in has smart & prompt delivery network all across international cities. Get valentine flowers delivery in US, UK, Canada, Europe and UAE. This portal has user friendly interface and simple browsing tools. Have a nice shopping experience at Valentinesday.in.